Bhubaneswar: Buju Janata Dal hits back at BJP national president Amit Shah for his allegations. Amit Shah is speaking about winning 120 seats in Odisha, but it seems the ‘Ache Din’ will come only when the petrol price touches Rs 120 says BJD General Secretary Sanjay Das Burma. 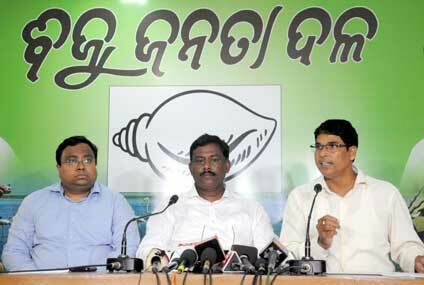 The UJALA scheme is the biggest scam of the country, says BJD General Secretary Sanjay Das Burma. BJD spokesperson Arun Sahoo says Amit Shah’s allegations are baseless and misleading and centre’s MAMTA scheme has been adopted from Odisha. Amit Shah must explain who has links with criminals including Tito and D-Brothers in Odisha. 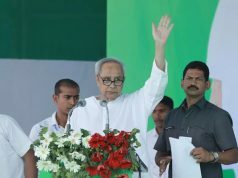 Who was behind the murder during the Bijepur by-election. 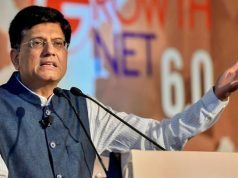 The country is experiencing anundeclared emergency situation says Arun Sahoo .